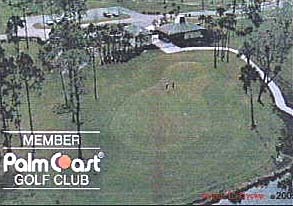 The concrete, block, stucco Palm Coast Golf Course 'Clubhouse' pledged Amenity to us by ITT Levitt. 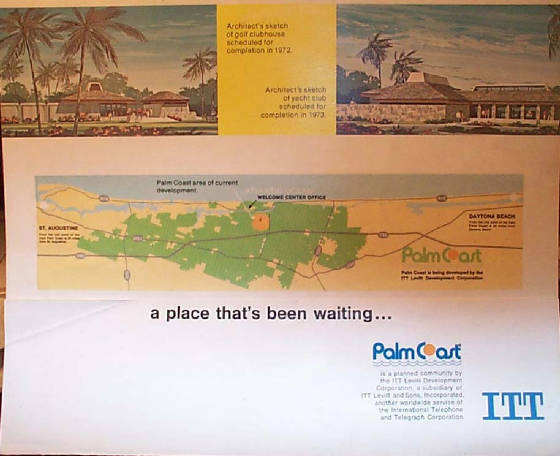 These are jpegs/pics of the Palm Coast Golf Course a.k.a. 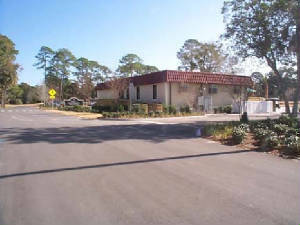 Palm Harbor Golf Course Clubhouse that was one of the many pledged Amenties to us offered by ITT Levitt. 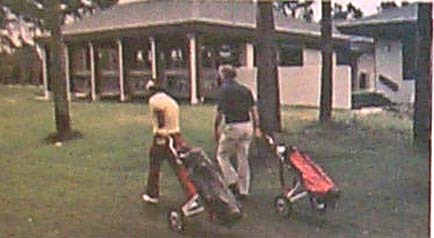 The Concrete , Block, and Stucco Clubhouse we were shown was adjacent to the 'Golf Course Waterway' with a View and Vista of it. 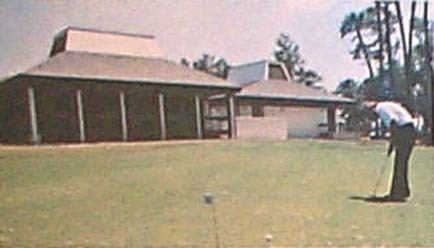 This replacement trailer clubshouse is on the other side of the road and does NOT have a View and Vista of 'The Golf Course Waterway' anymore. 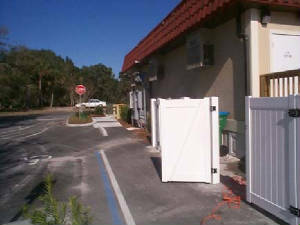 We allege that also this trailer thing is AT VARIANCE with the Covenants and Easments as recorded in the Public Records of Flagler County by ITT Levitt Community Development Corporation which we were presented and were recorded at the Flagler Courthouse. What will the density be then...? (d) Except for a reasonable period during the actual construction of a residence, no trailer, tent, shack or other such structure shall be erected on or used on any lot, except with the express written permission of the Architectural Committee; in no even shall such structure be used as living quarters. Question is....where is our 'Architectural Committee'? No View and Vista from the front of the trailer . 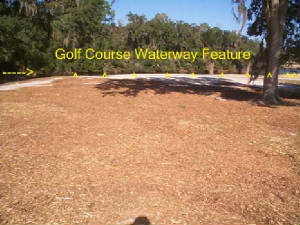 It does not have a View and Vista of the Golf Course Waterway like the C.B.S. 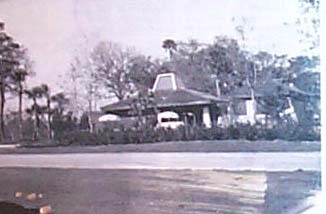 Stucco Clubhouse had . Trailer on other side of the road with NO Waterway View and Vista now. The C.B.S. Clubhouse we were shown . Our jpeg taken from the required 'Official Guided Tour' offered by 'The Company'. This is the C.B.S. Clubhouse with Waterway View and Vista we were shown. 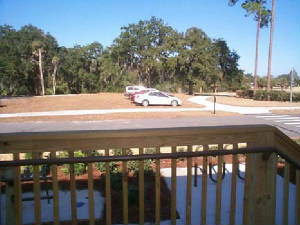 The C.B.Stucco Clubhouse Amenity we were shown. This was sent Globally via the U.S. Postal System. This C.B.Stucco Clubhouselocation had a View and Vista of the 'Waterway', the trailer thing doesn't. Course, NO Sheraton nearby anymore, NO C.B.S. 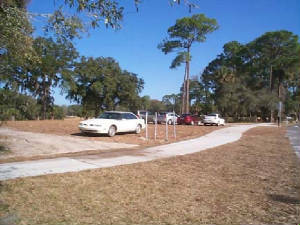 Clubhouse, No View&Vista of Waterway anymore. We will remain Stewards of this information hoping for a Museum like Flagler Beach already has; hoping for a certified local Government like so many other Florida Leadership cities already are.